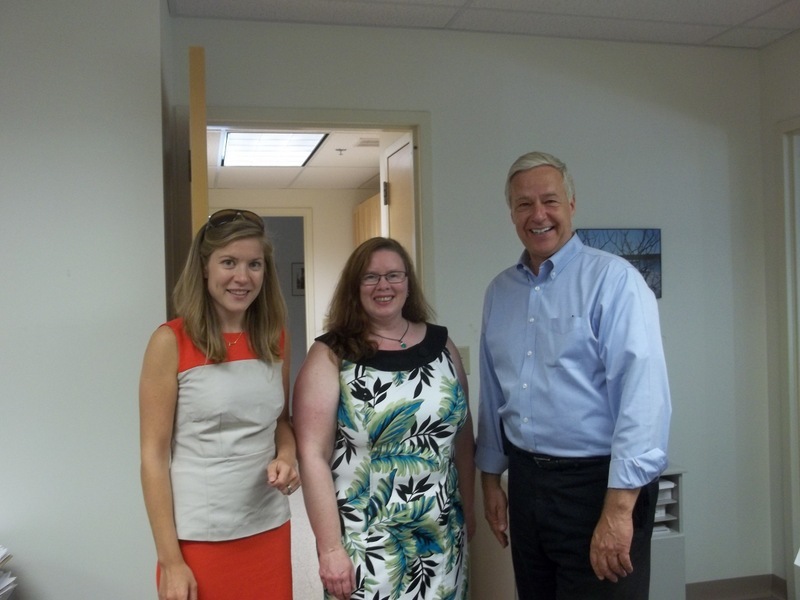 A month ago, Maine People’s Alliance communications director and Tipping Point BDN blogger Mike Tipping had an funny and interesting post entitled “Mike Michaud Looking at Things”, a very clever “curated collection” per Tipping with dozens of shared photos of the Congressman on the job these past five sessions. Fast forward to today, a few hours ago in fact. 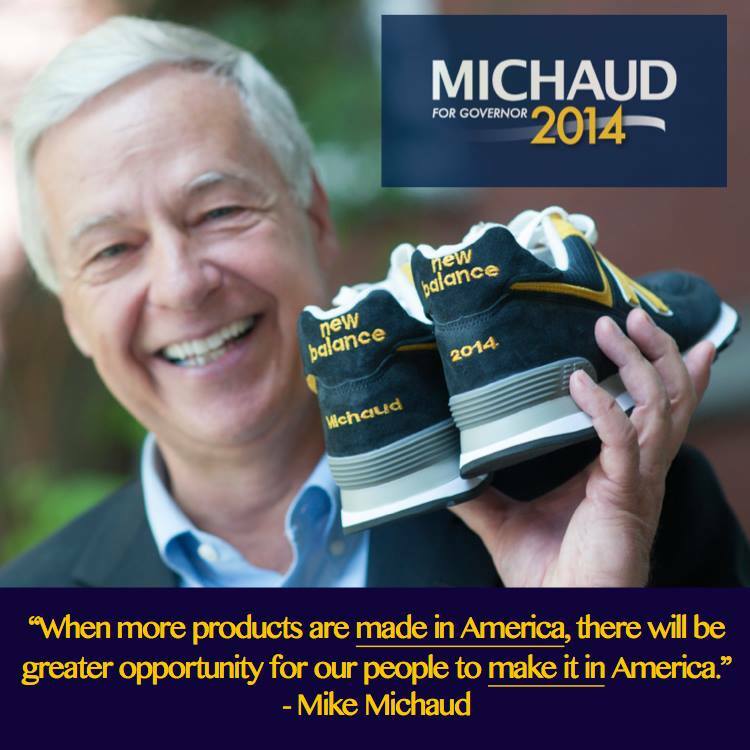 I finally posted at 2pm today my latest MPW piece“Mike Michaud Makes Gubernatorial Bid Official, Hits The Ground Running” about Mike’s official 2014 gubernatorial campaign announcement last Thursday in Lewiston. With that supposedly rhetorical question set as a throw-away conclusion line, I hit “Send” and packed up the laptop to go do a data entering volunteer shift at Maine Democratic Party headquarters in Augusta. And well… I now know exactly how Tipping felt on July 15, as I had only just gotten partway into the first stack of completed cards less than an hour later, when a very familiar face entered the office! It was nice to greet and chat with Mike, on his way to Portland this evening and then back up to Bangor for an event tomorrow afternoon. Goodness knows how many stops he plans on making between those two cities- at this point, nothing would surprise me. But at this rate, he’s gonna wear out those cool New Balance shoes of his! I dunno when the guy find time to sleep- but oh boy, I do like the energy we are seeing from Mike Michaud in this first week on the campaign trail! And like the stark differences between him and his competitors very much indeed.